From Feb 2017: “Superfluity” is out, it’s a 2-CD album, with artwork again by Richard Gann, this time with a four panel foldout cover. It’s out on FreeWorld/Floating World Records from London. Mastered by Gary Hobish at A. Hammer Mastering , a double album of songs of all sorts, lots of guitars, basses and drums, a little violin, and some beautiful singing from Kelly Atkins (from 20 Minute Loop , Kitka and other projects!) and more cover art by Richard Gann. It’s big, it’s massive, it has everything you have ever wanted in an album. Look for it wherever records are sold (hah. )—and if they don’t have it, ask for it! Nice reviews are coming in. Rocktimes.de totally gets it. You can find free downloads of several things by Jonathan Segel & Band on Bandcamp. Here is an improvised concert at the Camp-Out XIII from Sept 1 2017 on bandcamp! Sista Maj started on the last day of May in 2015, as a band it lasted about 3 years. The musicians are all busy with their myriad other projects, all of which are incredible. Sista Maj started as a trio: Andreas Axelsson on drums, Mikael Tuominen on bass and other things, Jonathan Segel on guitar, violin and whatnot. Instrumental hypnotic intense psychedelic space rock in the grand Northern European tradition that runs from Krautrock to Swedish Progg. We got together to improvise, mostly, then sometimes take those improvisations and re-work them. We performed live very few times, and sadly the only recording of a live show I have cut off toward the end of the first track. SHALE is Tom Shad and Jonathan Segel, with some help from Ralph Carney and others. A collaboration made on the web, sharing ideas back and forth! Another recent thing I was working on was “remixes” of the Kitka Women’s Vocal Ensemble for their Remix Project. Find my additions HERE, scroll down, I’m there on the lower left. 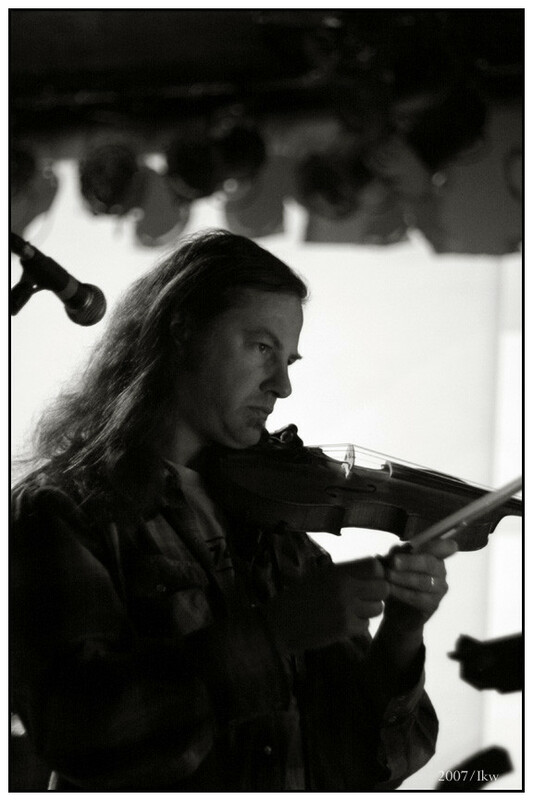 Also in the midst of all this super psychedelia, I also played some mandolin and violin on Björn Brunnander’s new release, “Galler” on Poolhall Recordings, and played violin on a Townes Van Zandt song for the Lowlands (and friends) cover of his entire last performed set. ØSC has toured through Denmark, Germany, Holland, Belgian, Austria and Switzerland in May 2016, and again in May 2018. Many of the shows are online to listen to at Archive.org. Some were recorded from the board to a multi-track, two of them sofar can be found on the Øresund Space Collective Bandcamp site, including the newest, Live in Berlin. I also added a little “jazzy/ethnic” violin to “West, Space and Love, Volume II“! And also a nice evening improvising at Larry’s Corner with Jair-Rohm Parker Wells, you can listen to that here on Archive.org also. Camper Van Beethoven, still alive and kicking after 35 years, has two recent albums “El Camino Real” (2014), and its 2013 companion “La Costa Perdida.” We also have two brand new songs premiering in the SyFy film Sharknado 3: Oh Hell No! You can find the soundtrack CD HERE! Of course, also in 2014, Jonathan Segel’s “Shine Out” came out on CD and digital. Physical copies are now sold out. Here’s an interview and review at Music Web Express 3000! This site is great, there are tons of great interviews, check it out! And you can learn about the making of the above-mentioned albums. Though admittedly not all of it may be listenable! More music may be on its way. Who knows? I sort of thought that Superfluity might be my last slew of songs, but you never know. More superfluous art. Find me talking on The Partially Examined Life, episode 115, about Schopenhauer and aesthetics, and with Victor Krummenacher on episode 118 about songwriting, reality, authenticity, that sort of thing. Omnivore Recordings, who recently rereleased Camper Van Beethoven‘s 1988 and 89 albums “Our Beloved Revolutionary Sweetheart” and “Key Lime Pie” released an expanded verison of our 2004 ‘comeback’ album, “New Roman Times” in February! The Shine Out CD and digital release is only available at the above links. It’s now on iTunes HERE. There are only a few copies of the CD itself right now, will be available on-demand from Finetunes through Amazon. One thing to note if ordering is that I am in Europe, so I can send CDs from here (but please include a bit of postage) but I did leave a bunch on the west coast with Victor Krummenacher, so hopefully he can send some if they go to the US. Also recently added: Horsehoes & Hand Grenades, a “greatest hits” (or misses, as it were) digital package of songs from the past 25 years of Jonathan Segel albums… dip a toe in the water and see where it may lead you, it’s a good place to start with the 25 years of rock music. I haven’t yet made a compilation of the “other” stuff…. Camper Van Beethoven finished a good long while of playing shows in 2013 and 2014 promoting the CDs “La Costa Perdida” and “El Camino Real” out now on Savoy/429 Records! See here to get it on Amazon . here for iTunes! The newer CD, “El Camino Real“, is the companion to “La Costa Perdida”, mostly concerning Southern California (where La Costa is about the Northern part! )…Out June 3rd 2014! All Attractions and Apricot Jam were both released in 2012, the physical package was a 2-disc set with both, out of print now, we did print up a second batch of the CDs as individual packages. Currently they are sold out, but digital is available at music.jsegel.com or from CDBaby or even from iTunes, or of course you could look in the merch piles at any Camper Van Beethoven show. The Jonathan Segel band has played shows at every Cracker/Camper Van Beethoven Annual Camp-Out, Numbers ONE through FOURTEEN in Pioneertown, and there is audio available to listen for free on Archive.org, even some video of the 2012 show on YouTube. Soon there may be audio or video of the 2013 or 2014 or 2017 or 2018 show. Victor Krummenacher on bass, Mattias Olsson on drums.